Molise, Italy’s second smallest region. 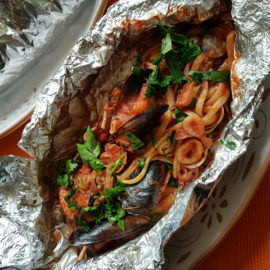 Sicily, the food and the pasta! Tuscany (Toscana) the Food and Pasta. Anelli or Anelletti pasta rings. 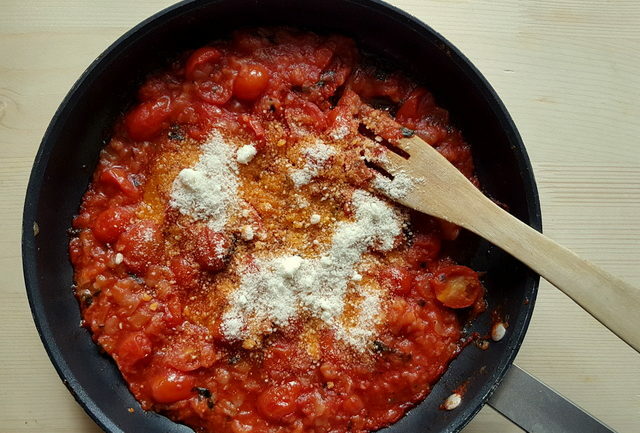 Bucatini; the spaghetti with a hole! Caccavelle Giant Pasta Shells from Gragnano, Naples. 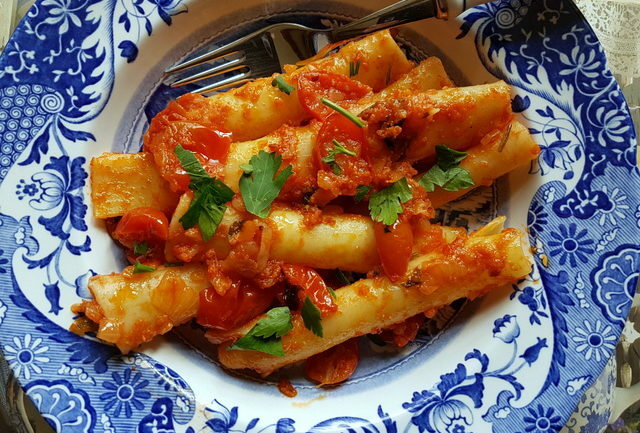 Calamarata pasta from Southern Italy. Corzetti or Croxetti Pasta from Liguria. 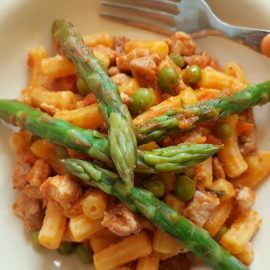 Fusilli Pasta; long, short, homemade and hollow. Fusilli pasta with black olive pesto and tuna. Ricotta Gnudi with Black Truffle. 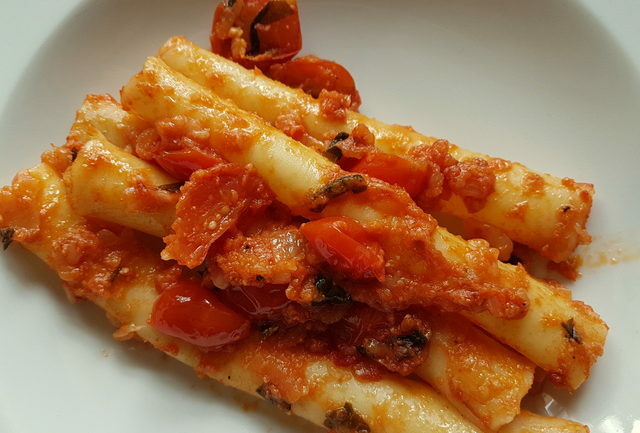 This Neapolitan recipe for Ziti pasta with Italian lardo is another recipe that originated in what the Italians call ‘la cucina povera’ (the kitchen of the poor) . 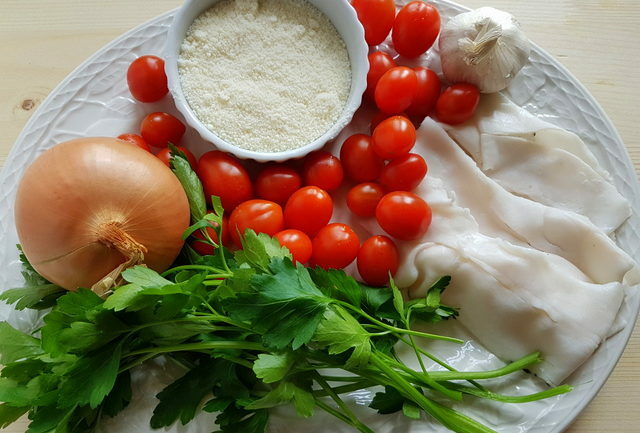 Today, these foods not only continue to be an important part of traditional regional cooking but are sought after and served in even the best restaurants! The main ingredient of this recipe, lardo, has become a much appreciated gourmet delicacy. In the past, rural traditions and necessity made it important for the peasant and farming populations not to waste anything. Families who had pigs would slaughter them in the late summer/early autumn and preserve every part of the animal to see the family through the cold winter months. In fact, there is a well-known Italian expression ‘del maiale non si butta via niente’ – one throws nothing away from the pig! Throwing nothing away also meant making use of the pig fat or lard. There are two kinds of Italian lard; lardo and strutto. The latter is rendered pig fat which was, and still is, used for cooking (instead of oil) and making pastry (instead of butter). 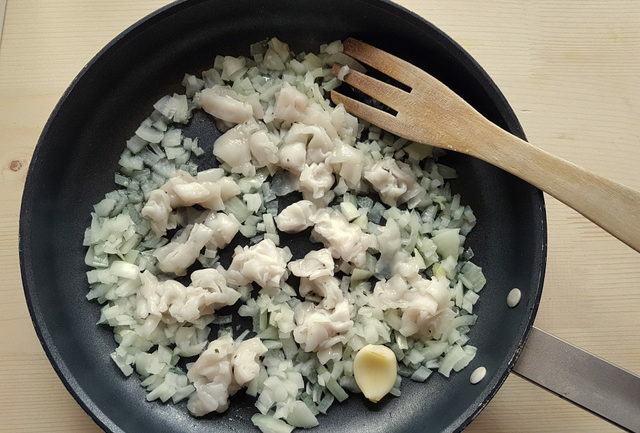 Lardo, on the other hand, is pig back fat which has been cured in various ways and is eaten on bread or added to recipes such as this one for ziti pasta with Italian lardo, known in Campania as ‘ziti lardiati’. In the old days, farming families made their own lardo by preserving the back fat in salt. This lard was very useful because it is very calorific and, therefore, helped the farmers get the calories they needed for all the physical work they did in the fields. 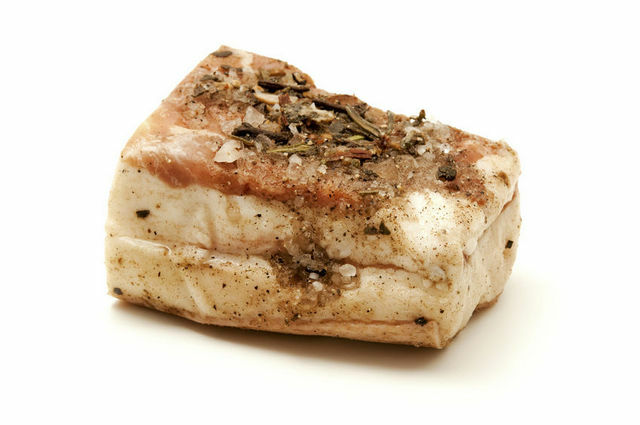 By storing the lardo in salt, people could use it at all times of the year, but it was especially popular in the winter. Obviously this tradition is less common now. 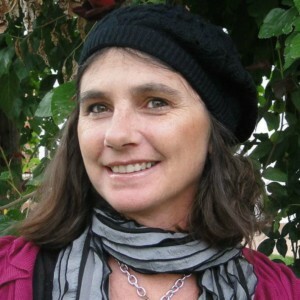 However, there are types of lardo which continue to be produced and are much loved here and even considered a delicacy. The best lardo to buy. To make the lardo, the producers put a trimmed piece of pork back fat in the bottom of a marble basin after the basin has been rubbed with garlic. The meat isn’t refrigerated before curing. Salt, black pepper, rosemary, and garlic are then added. Some people also add sage, star anise, oregano, coriander, or even cinnamon, cloves or nutmeg. The basins are filled with layers of the lard and then the salt, herbs and spices. Then they are closed with a slab of marble. Aging occurs naturally in warm, fresh caves. It takes a minimum of 6 months, during which the amount of liquid released by the salt-covered lard is measured regularly. Once it’s ready, this lardo is very white, soft, fragrant, and extraordinarily sweet despite the large amount of salt used. The production of Lardo di Colonnata is regulated by IGP standards, which include aging the meat in marble. Lardo di Arnad comes from the village of Arnad in the Aosta valley and is made in a different way. This lardo is aged in wooden tanks called ‘doils’ for a period of at least three months. It is flavored with a mixture of aromas composed of juniper, bay leaves, nutmeg, sage and rosemary. The back fat has to come from a pig with a minimum weight of 160 kg and aged no less than 9 months. In addition, the animal has to be bred in Val D’Aosta or in four other regions: Emilia Romagna, Piedmont, Lombardy and Veneto. Since 1996, lardo di Arnad is the only lard in Europe that can boast the DOP (Protected Designation of Origin) certification. 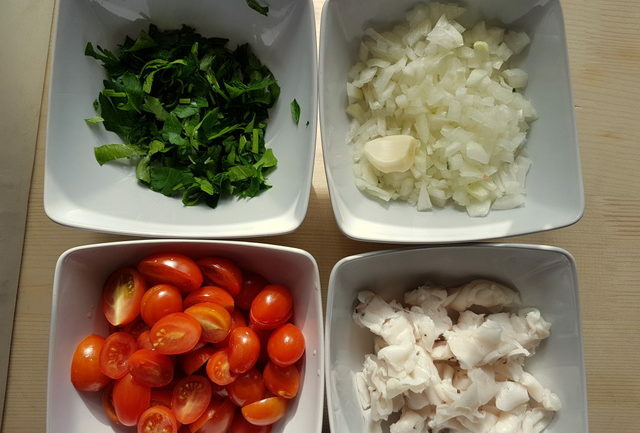 The other ingredients for pasta with Italian lardo. The original Neapolitan name for this pasta with Italian lardo recipe is ‘maccaruncielli lardiati’. 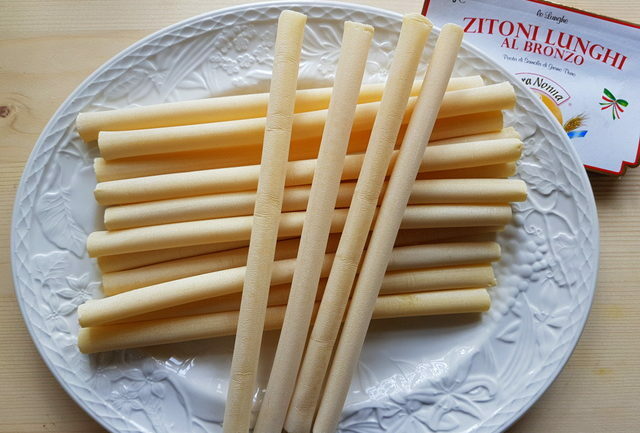 Traditionally, it is made with ziti or zitoni (large ziti) or Neapolitan maccheroni. Like many other traditional dishes, there are some variations. Some people use only garlic or only onion, others use both. 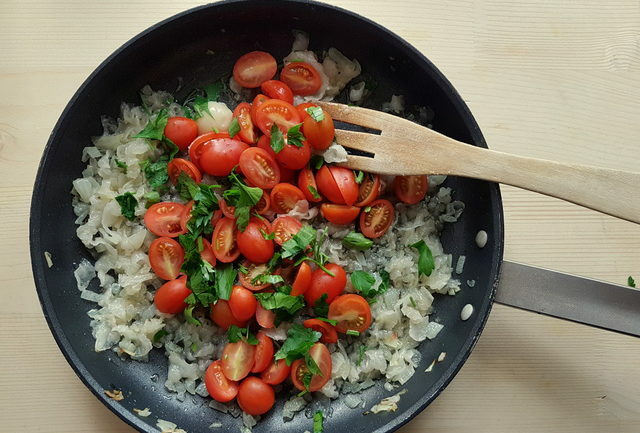 In addition, there are ‘white’ versions meaning without tomatoes. 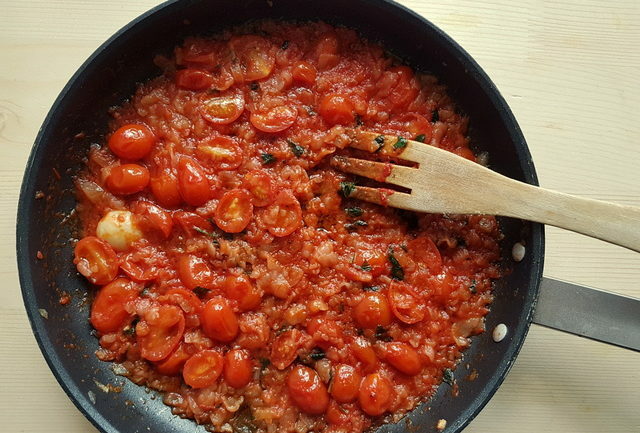 However, after the lardo itself, tomatoes (whether fresh or as passata) are used in most recipes for this dish. My only deviation from the most common recipes was to use parsley. I didn’t have any fresh basil, but basil is usually the preferred herb. This is a pretty simple recipe with only a few ingredients, but it’s unbelievably tasty. 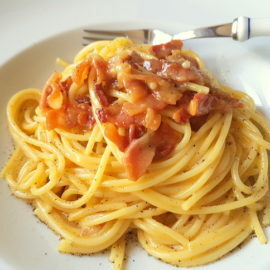 If you can’t find lardo, you can use pancetta or, even better, guanciale (pigs cheek) but it won’t be quite the same. The lardo literally melts and adds a different flavour to what you would get with pancetta or guanciale. I have read that lardo is available to buy online or at Italian speciality shops in both UK and USA. So, if you’d like to try it, do get some. Although it’s made from fat, it isn’t greasy and has less saturated fat than butter! 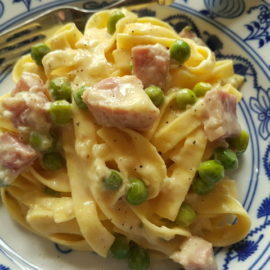 You can use it in this pasta with Italian lardo recipe as well as cut it thinly and eat it on warm bread! Yum! 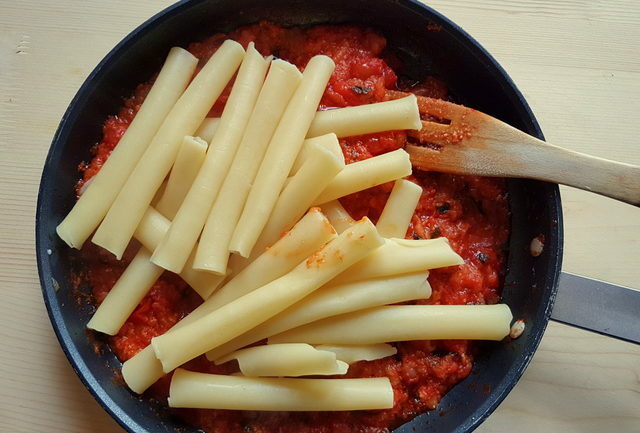 Pasta alla Papalina; recipe from Rome. It sounds amazing! I have to try to make it this week! Oh my that sounds heavenly, lardo has begun to become popular in high-end British restaurants too I understand but it has always been popular here in Hungary. I can get it from any butchers and supermarket and it shares the same name as bacon and it is glorious. Must make this recipe! I love pasta. The picture looks so delicious and mouthwatering. will definitely try this recipe. Very interesting and tasty!!! I am sure the lardo gives this dish a unique and rich flavor! I would esp. like to try pastry dough made with pig fat! Baked Pasta with Pumpkin and Zucchini.